 Find out a more about the amazing work our Certified Nebraska Master Naturalists have done and program highlights! University of Nebraska announced today that it will receive $68,073 from the Nebraska Environmental Trust for the "Nebraska Master Naturalist Program: Volunteers in Action" project. The Trust Board announced funding for the project at its meeting on April 5, 2018 in Lincoln. The project is one of the 105 projects receiving $18,301,819 in grant awards from the Nebraska Environmental Trust this year. Of these, 66 were new applications and 39 are carry-over projects. The Nebraska Master Naturalist (MN) Program provides Nebraska citizens an opportunity to contribute to natural resource conservation through meaningful science-based volunteer experiences. The MN Program began in 2009 through a public and private partnership that recognized Nebraska's conservation agencies and organizations have limited resources and capacity for proactively managing natural resources. Over the last seven years, the MN Program has established a highly motivated workforce of 336 volunteers, or Certified Master Naturalists, that are actively contributing to at-risk species conservation, restoring native habitats, preventing degradation of waterways, and improving waste management. Their impact has been substantial. Master Naturalists have contributed 40,148 hours to conservation action on over 2800 projects in Nebraska which translates to a value of $945,886 in salary savings to natural resource agencies and organizations. The Master Naturalist Program's positive reputation and workforce is growing and Master Naturalist volunteers are experiencing increasing requests for their service. Currently the demand for volunteer services far exceeds current volunteer capacity. 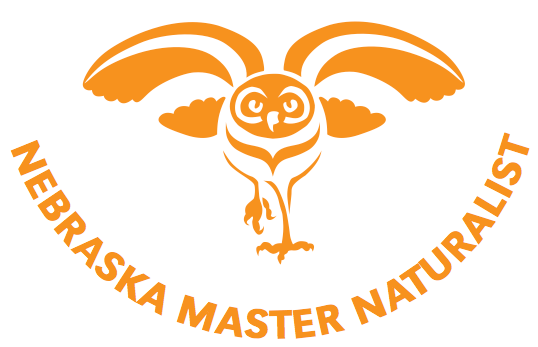 The goals of this proposal are to increase number of new certified master naturalists by 90 over the next three years; support the established Master Naturalist Community through continuing education on advanced topics; empower local, coalesced workforces to conserve Nebraska's natural resources by providing at least 7,500 hours of volunteer service that support at least 20 conservation organizations or agencies, and reach over 15,000 individuals by informing and educating citizens about natural resource conservation; and increase program sustainability. The Nebraska Legislature created the Nebraska Environmental Trust in 1992. Using revenue from the Nebraska Lottery, the Trust has provided over $289 million in grants to over 2,000 projects across the state. Anyone - citizens, organizations, communities, farmers and businesses - can apply for funding to protect habitat, improve water quality and establish recycling programs in Nebraska. The Nebraska Environmental Trust works to preserve, protect and restore our natural resources for future generations. Mike Zitterkopf with his Bear Den Cub Scouts and Laurie Zitterkopf with her Tiger Den Cub Scouts. Mike and Laurie were each able to get a grant for a tree from the Re-Tree Nebraska program. They then planted them at Northfield school in Gering Nebraska with help from Amy Seiler, a Nebraska Forest Service educator. For her work with the Sustainable Schoolyard Partnership at Beattie Elementary School in Lincoln, Karen Creswell was recently honored with a Volunteer Award by the Nebraska Statewide Arboretum. Karen contributed 20 hours per week, enlisting 1000's of volunteers to work on the school garden for over 8 years as a community investment. Through grants, planning and supervision, they collectively helped Beattie develop an outdoor classroom into an example of sustainability. - Families, teachers, and staff worked on the hottest and coldest days of the year to carry out the Sustainable Schoolyard Partnership. - Service groups gave generously of their time. - Merchants and nurseries gave discounts on materials. - Of course, the Master Naturalist Program provided much needed training of volunteers to carry out this work. - Schools save money by spending less on chemicals, irrigation, and energy consumption. - Students connect more with nature. This relationship offsets obesity, buffers stress, fosters social interaction, and improves concentration, productivity, and cognitive development. - Faculty gain outdoor spaces which can serve as classrooms and avenues for environmental education. - Staff benefit from the relaxing and restorative effects of green spaces. - Community members learn sustainable and ecologically viable practices that they can use in their own landscapes. Karen's recent message enhances awareness and keen observations of the changing season, in “The Beattie Tribune,” a newsletter for teachers, students, and families . . . . The landscape at Bellevue West High School now looks a lot different than it did in the fall of 2011, when Joanne Langabee and Holly Hofreiter undertook a Nebraska Master Naturalist project to help put in the Thunderbird Arboretum. What once was a flat, bare space, now has over 70 trees spread throughout the area. The Nebraska Statewide Arboretum and the Nebraska Forest Service suggested natives and other trees which were planted by Environmental Science Classes and the Ecology Club of Bellevue West High School. Joanne and Holly co-organized this effort over a three-year period. The school then wanted a windbreak on the north and west edges of the property, by the softball diamond, and so Joanne was asked to head up that project. She applied for grants from different organizations to obtain money for the trees. Joanne also worked with Steve Karloff of the Nebraska Forest Service for help with selecting trees toward establishing the windbreak. The windbreak was put in over a two year period by the Environmental Science classes and the Jr. ROTC students. The 180+ trees in the windbreak were bag trees, which allow for a 100% survival rate. Besides working with Bellevue West High School, Joanne and Holly are doing citizen science at Lauritzen Gardens, where they are participating with "Birds in Season" and "Butterflies in Season." For the "Birds in Season," volunteers go out during migration season to identify which birds are found in the gardens. "Butterflies in Season" takes place from April to late fall, where the butterflies and their numbers are identified, along with their preferred flower sources in the gardens. I am an avid birder and of Finnish descent. I spend a lot of time maintaining and monitoring bluebird boxes. I also have done the 4th grade Prairie Immersion at Spring Creek Prairie. I worked summer camps with kids in June and July in Minnesota. A sheet of 16 items to find, in Finnish, was one of my 45 minute camp nature activities. It was initially played like bingo,but later we went and found all 16 items. At lunch at the camp I did "Bird of the Day", in Finnish, selecting from Minnesota birds. A picture and imitated call or call played off the App was my 2 minute thing in the introductions. I was there mainly for cabin duty and Finnish lessons. I will do Birding 101 for the older crowd of the Wachiska Audubon Society in early November 2016. I plan to do this 3 hour outing once a year. 2016 was my second year of monitoring the absence of salamanders in Southeast Nebraska under the direction of Dr. Dennis Ferraro of the University of Nebraska-Lincoln. Monitoring the absence of something probably sounds oxymoronic; if fact, both Dr. Ferraro and I had hoped I would be monitoring the presence of salamanders. But after setting and checking live traps multiple times with no success, it appeared that my efforts were documenting what Dr. Ferraro had already known, namely, that there is a significant decline in salamander populations in my area. My failure to trap any salamanders was disheartening, but Dr. Ferraro assured me that my attempts, along with my reporting of conditions at the trapping sites, supplied valuable information in the on-going research into the causes of salamander population decline. Even though I did not trap any salamanders, my dusk and dawn excursions to set and check traps were rewarding in other ways. One morning I watched as a flock of low-flying pelicans glided silently overhead; another morning I spotted a common yellow throat. Just driving the winding, wooded roadways to and from my trapping sites in those quiet hours allowed me to experience the rural, natural world in a way that is different from hiking in a state park or preserve. I plan to continue my efforts on the salamander project in 2017. Over the course of this winter, I will travel the country roads near my home in search of wooded sites with small fishless ponds that salamanders need for laying their eggs. I may yet find some salamanders in Southeast Nebraska. Even if I don't find salamanders, I will no doubt discover something else wild and wonderful. As a Nebraska Master Naturalist, I have had the privilege to head up our school Monarch Waystation and maintain the habitat for the last 5 years. Our Logan Fontenelle Middle School Garden Club meets about 8 times a year to improve the habitat for the variety of pollinators and wildlife at our school. Students in the Garden Club take pride in their learning as well as spread their knowledge and experiences throughout the community. I am a Nebraska native and UNL graduate. After a long career overseas with the Peace Corps and U.S. State Department, I retired and returned home in 2014. I have always loved the outdoors and grew up hunting, fishing and camping out. When planning what to do upon my return, I learned about the Nebraska Master Naturalists (NMN) from a Nebraska Game and Parks newsletter. It looked like the perfect place to reconnect with my roots. Being a NMN has been very rewarding and has led to connections with other like-minded people and organizations who need volunteers. For example, I am now a trained "Bugmaster" with UNL's School of Entomology and a Certified Youth Fishing Instructor with the Nebraska Game and Parks Commission (NGPC). What I like best about the program are the many volunteer opportunities that come across the NMN email list. They are so varied and numerous, whatever your availability or area of interest you can find something fun to do! Since 2015, I have worked part time for the NMN Program Office in Lincoln as a Program Assistant and as a NGPC Naturalist at Platte River State Park. My hope is to reinvigorate the "Naturalists in the Park" program, started in 2013, that fosters cooperation between Master Naturalists and their NGPC counterparts in parks throughout the state. I joined the Master Naturalist organization in 2012 and have greatly enjoyed all of the activities I have participated in. I have always been intrigued by nature, wanting to know, to identify, to understand. Skeletal remains are especially fascinating to me. Graduate studies with field work in physical anthropology as well as materials from the Museum of Osteology in Oklahoma City have provided the bulk of my teaching materials. I have several fairly complete skeletons I have processed myself and lots of random bones I have picked up on my walks. My husband has learned not to look in the big pot cooking outside because often something will be looking back at him. When I do a presentation, I like to lay out in approximate anatomical position my critters for my audience to look at. Subjects I cover are skeletal differences in prey and predator (skulls) and herbivore, carnivore and omnivore (teeth). Then we have fun taking the random bones and trying to match them to a replica human skeleton. We talk about similarities and differences. The kids are pretty amazing. I then encourage them to get out and bone hunt and try to guess what the find.